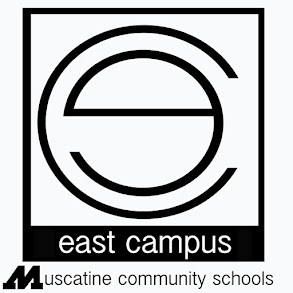 At 9 a.m. today, I am scheduled to meet with a class of students at East Campus in Muscatine. The school at 1409 Wisconsin St. is in its first year as an alternative program for students in grades 8-12. These are students who — for whatever their reasons — needed a different environment in which to learn than what they have experienced in the past at more traditional middle and high schools. I don’t know much about East Campus and I’m anxious to learn more. But what I’ve learned so far about the school is impressive. For starters, at least some of the students have shot, edited and produced some pretty good videos about Muscatine. They are as good as any I have seen done by anyone. A group of East Campus students toured MCSA a week or so ago. Today, I think, I am expected to visit with the students about future opportunities for them to learn by working on projects with the staff and residents at MCSA. Am speaking to students in an English class. Spent the better part of the past 25 years trying to learn how to write. Have learned a bit in the past year about blogging and social media. Read everything you can get in your hands. Really good writers learn to write by reading the work of other writers. Write every day. Practice. Practice. Practice. Rewrite everything and then rewrite it again. I’ve referred before to this scene in “A River Runs Through It,” which nicely summarizes the work of writing. Accept that the work of writing well is harder than many people will ever recognize and that writing is a mostly solitary experience that often pays very little — maybe even nothing. It should be a fun morning. I’ll try to write more about it later today when I have a few free minutes. Picking up and carrying an 80-lb sandbag? Yeah, I can do that. Cale Tyson peforming at River’s Edge Gallery in Muscatine on March 29.